The committee coordinated by Monsignor Gilfedo Marengo, has the task of finding the documentation in the Vatican Archives, related to the preparatory work for Humanae Vitae, which occurred during and after the Second Vatican Council. The first fruit of this work is the volume by Monsignor Marengo, The Birth of an Encyclical. 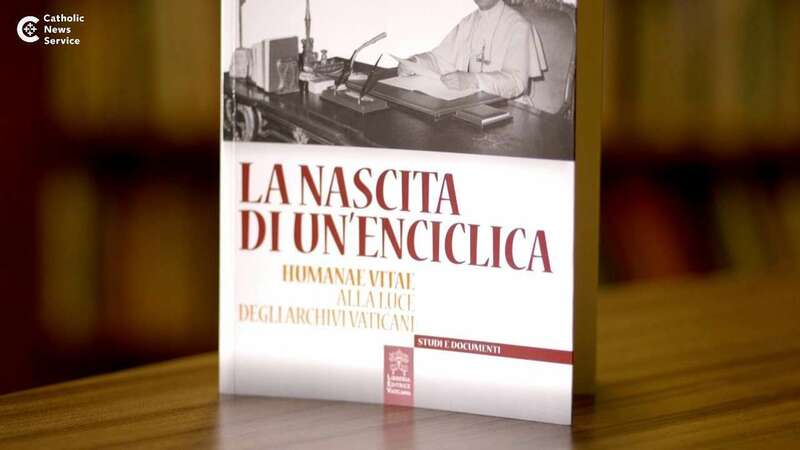 Humanae Vitae in the light of the Vatican Archives, published by the Libreria Editice Vaticana. Other publications will perhaps follow and other documents will presumably be submitted, privately, to Pope Francis. From a historiographical point of view, Monsignor Marengo’s book is disappointing. On the genesis and consequences of the encyclical Humanae Vitae, inserted into the context of the contraceptive revolution, the best book is still, in my view, Renzo Puccetti’s, The Poisons of Contraception (Edizioni Studio Domenicano, Bologna 2013). Monsignor Marengo’s study, nevertheless, contains some new things. The most relevant is the publication of the entire text of an encyclical De nascendi prolis (pp. 215-238), which, after five years of agonizing work, Paul VI approved on May 9th 1968, fixing the date of its promulgation for the Solemnity of the Ascension (May 23rd). Monsignor Marengo recalls that Paul VI did not accept the invitation sent to him by the then Archbishop of Cracow, Karol Wojtyla, to issue “a pastoral instruction, reaffirming in no uncertain terms, the authority of the doctrine of Humanae Vitae, in face of the widespread movement of contestation to which it was subjected. The objective, or at least the result of Monsignor Marengo’s book, seems to be that of relativizing Paul VI’s encyclical, which appears as if it were a phase in a complex historical journey and which has not been concluded by the publication of Humanae Vitae, nor with the discussions that have followed it. One cannot “claim to have said the ‘last’ word and close, if it were ever needed, decades of debate” (p.11). On the basis of Monsignor Marengo’s historical reconstruction, the new theologians, who refer to Amoris laetititia, will say that the teaching of Humanae Vitae has not been changed, but must be understood as a whole, without reducing it to the condemnation of contraception, which is only one aspect. Pastoral care – in addition - is the criteria to interpret a document that refers to the doctrine of the Church on birth-control, but also the need to apply it according to wise pastoral discernment. In the final analysis, is it about reading Humanae Vitae in the light of Amoris laetitia. Humanae Vitae was an encyclical that caused great anguish (this is how Paul VI himself defined it) and was certainly courageous. The essence of the ’68 revolution, was, in fact, to reject all authority and all laws, in the name of liberating instincts and desires. Humanae Vitae, by reiterating the condemnation of abortion and contraception, was a reminder that not everything could be permitted, that there is a natural law and a supreme authority, the Church, which has the right and the duty to guard it. Humanae Vitae was not a “prophetic” encyclical. It would have been, if it had dared to oppose the false neo-Malthusian prophets with the divine words “Increase and multiply” (Genesis 1, 28; 9,27). It did not do so, as Paul VI, in fear of coming into conflict with the world, accepted the myth of the demographic explosion, launched in 1968 by Paul Erlich’s book, The Population Bomb. In 2017, this same Erlich, was invited by Monsignor Marcelo Sánchez Sorondo to repeat his theories about overpopulation at the congress organized by the Pontifical Academy for Sciences on the theme: Biological Extinction. How To Save The Natural World On Which We Depend (February 27th – March 1st 2017). The author in this volume describes the catastrophic scenarios that awaited the inhabitants of the Earth, if they failed to take measures to contain population growth. What the encyclical correctly condemns is artificial contraception, but without rejecting the new “dogma” of a necessary reduction in births. Humanae Vitae thus replaces Divine Providence, which until then, had regulated the births in Christian families, with the human calculation of “responsible parenthood”. Over the last fifty years, due also to a misleading conception of the purposes of marriage, pontifical teachings have not been applied, and among Catholics the practice of contraception and abortion, cohabitations outside of marriage and homosexuality have spread widely. The Post-Synod Exhortation represents an outcome of an itinerary which has been a long time in the making. Repeating almost verbatim the words pronounced on October 29th 1964 by Cardinal Leo-Jospeh Suenens in the Council Hall: “Perhaps we have accentuated the words of the Scriptures: ‘increase and multiply’ to the point of neglecting the other Divine word: ‘and the two will be one flesh’, Pope Francis affirmed in Amoris laetitia “Then too, we often present marriage in such a way that its unitive meaning, its call to grow in love and its ideal of mutual assistance are overshadowed by an almost exclusive insistence on the duty of procreation . By turning these words around, we might say that in the last decades we have emphasized the biblical words “the two will be one flesh” almost exclusively, to the point of neglecting the other Divine Words “increase and multiply”. It is also from these Words, rich in significance, that we must start again, not only for a demographic rebirth but for a spiritual and moral regeneration of Europe and the Christian West.